Good news– contrary to the nay-saying press and industry buffs who were constantly hinting that the ‘Organic Spirits Market’ is just a passing fad we are finding that now more than ever are brand new, organically produced and hand-crafted products are becoming available than ever before. My Saf Bar and Restaurant in London is lucky enough to be one of the few that gets to try these great products out and I’ve been blessed on a recent trip to the US to be able to try some fantastic products. Since many spirits buff don’t focus on organics as a big part of their collection I’ve been trying to champion these great products and have even been asked to compile a list of all the organics into a Difford-esque review. 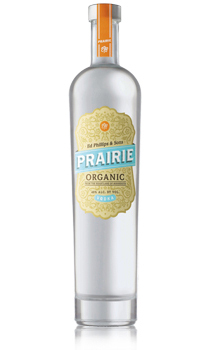 One of my favourite new products in this organic-spirits-boom of late I’ve would have to be the venerable Prairie Organic Vodka. Hailing from the ultra-natural Heartland of Minnesota, Prairie offers a great example of what the best in organic spirits can be. Unlike the (equally exquisite) Square One Organic Vodka made from organic rye, Prairie is a corn-based spirit made from #2 yellow corn and without the dubious ‘organic representation’ of a certain -ahem- other ‘RAINed’ upon spirit, has fully organic and kosher certifications. They even work with the farmers directly to assure top quality for each bottle. Mazel Tov! Stir the liquor. Strain. Top with Champagne. Garnish with a flower. Shake all ingredients except the soda and strain over fresh ice. Garnish with a Thyme sprig. 15 mls fresh lime juice. Shake all ingredients and strain over fresh ice. Garnish with a Thyme sprig. Let me know your thoughts if you try any of these out or send me over some other recipes you may come up with using the Prairie! That’s it for now!! I was announced as the winner of the Grey Goose Dream Bar Competition! This was a very innovative competition sponsored by the folks at Grey Goose in which a brief is created on the PERFECT Bar and the winning brief (along with a matching cocktail) gets the bar built as well as to keep it! So I am now the proud owner of a fully-sustainably built Green House Bar! That’s right, my bar will offer the freshest cocktails on the planet because we are building the bar with a Greenhouse format so that all herbs, garnishes and ingredients can be freshly picked–stay tuned for the launch date details of this exciting project and thanks to the genius Richard Vine who is helping consult for the planting part! Heading to Vail, Colorado next week as I was lucky enough to be chosen for their Vail Mixology Summit. Whilst there I will be meeting with the nation’s top mixologists to discuss new industry trends and create some smashing new cocktails! I’m in Vail the 1st-8th so if you’re in town, swing in! If using the citrus sugar, take a lemon wedge and rub around the rim of a chilled martini glass. Lean the outside of the rim only against a plate of citrus sugar and rim the glass about 2 cm thick making sure that none of the sugar gets inside the glass. Combine Vodka, Ginger, Lemon and Simple Syrup in a shaker. Shake vigorously for a slow ten count and straining contents through a tea strainer into glass. Garnish with either an edible flower or a thin orange spiral & halved vodka-soaked apricot. ** Infuse a 75cl bottle of Organic Vodka (UK5 Utkins or Square One) with ½ kg of Sulfur-Free (brown) dried apricots and 3 Whole Anise Pods for 1-5 days. May infuse longer but dilute mixture to keep a balanced flavor. 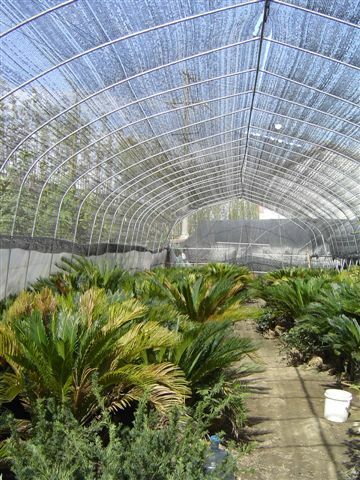 ***Agave Simple Syrup: Mix 1 part Agave Syrup with 2 Parts Water. Shake Well and refrigerate stored in a glass container. 50 ml of mix to 60 ml Vodka and shake. Follow instructions above. This builds off the standard flavours of the lemon drop with the addition of some delicious eastern spices and a slight natural sweetness from the Apricot infusion. Of course, no refined sugars are used to preserve the purity of the drink. Shake all ingredients and tea strain into a martini glass. Garnish with cherries or goji berries and a flamed orange twist. This is the PurSip take on the drink, using fresh pomegranate juice but mixing it with seasonal Blood Oranges and a hint of softness from Tarragon. Of course, the main focus of the drink is the Goji-Orange Vodka, with Goji’s replacing pomegranates as one of the world’s top super foods and creating a very innovative flavour. So as you see…it’s been a busy couple weeks. And best of all, there’s even more news to come that’s just in the final stages, so stay tuned and keep sipping!!!! You are currently browsing the archives for the Drinks Trends category.